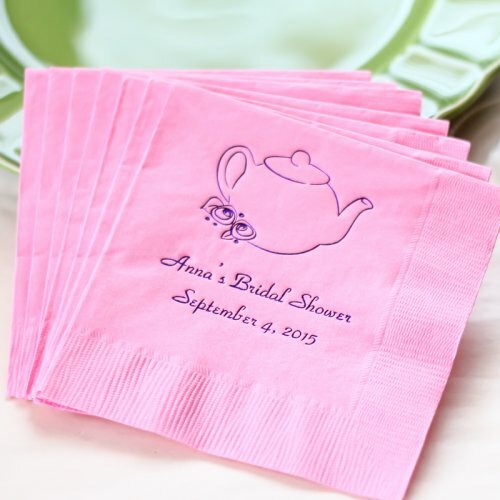 A Progressive Bridal Shower is one that moves from place to place. The party starts off at one spot, then moves on. Each stop is used for a different aspect of the event. Any locations can be used, but it often takes place in private homes. There are many variations of this idea. There is no right or wrong when planning. What you do first, second, third, etc., doesn't have to be done in a certain way. The order can be changed. The events may also be combined. The following is an example of how this party can be set up. It isn't necessary to have five stops, and you could also add more if you'd like. Many variations are possible. • Meet and greet at the first location. The invitation will request that all guests arrive here. The guest-of-honor will be brought to this spot. • Move on to a second place where food is served. This can be snacks, buffet, or a formal meal. • Third place is for games or any form of entertainment. • Fourth home is where the gifts are opened. Remember to have someone to help take notes of gifts received. • Fifth stop is for cake and coffee. This stop can also be where favors are given as guests are leaving. • Make sure that your invitation explains the type of party you are having. This may end up being longer than the typical bridal shower. • Figure what the entire event will cost. Some locations will have more of an expense than others. For example, a sit-down meal will be more than the home where the gifts are opened. Divide all expenses between all the hosts. 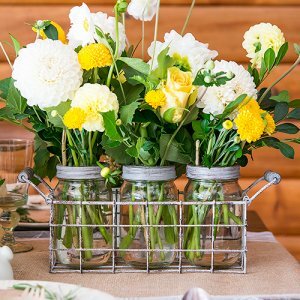 • Mason jars are a huge decorating trend, right now. They come in different shapes and sizes. Add a candle, some flowers, beads, or just leave plain for a tres chic look. • Use the same or coordinating decorations, at all stops. This will help unify your event if you've chosen a theme. • Have all locations decorated with the same colors. If you don't have a theme, using the same colors can help carry out your plans. • Instead of matching each place, you might decide to let each stop have a distinct look. • Make sure your entertainment location is prepared for the idea you've chosen. A floral design demo would need a work table and room for displays. A dance instruction needs a certain amount of free open space. A cooking class may need a home with a larger kitchen where guests can observe. • Do you need more theme suggestions? • Go from Progressive Bridal Shower, to the home page.